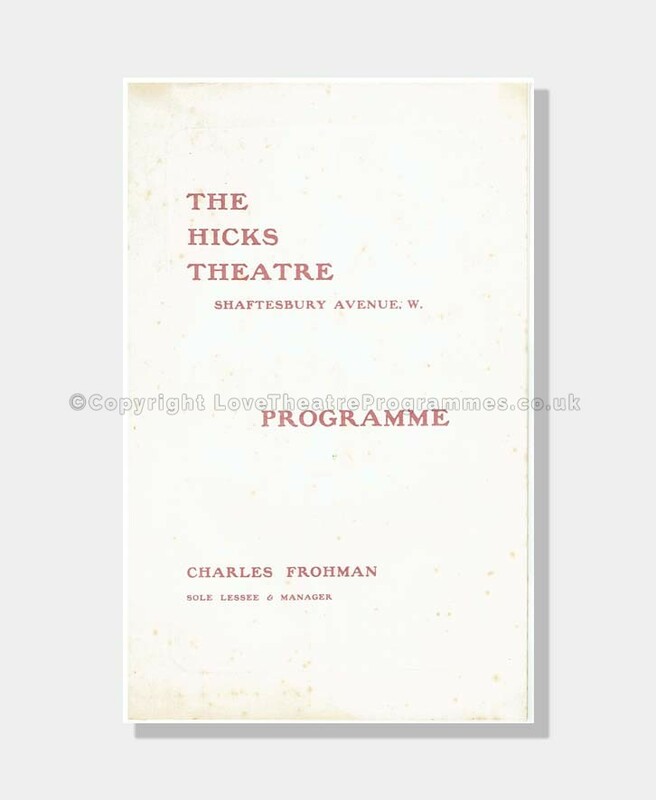 Theatre: The Hicks Theatre, Shaftesbury Avenue. Main Actors: Gerald du Maurier, Mollie Lowell. 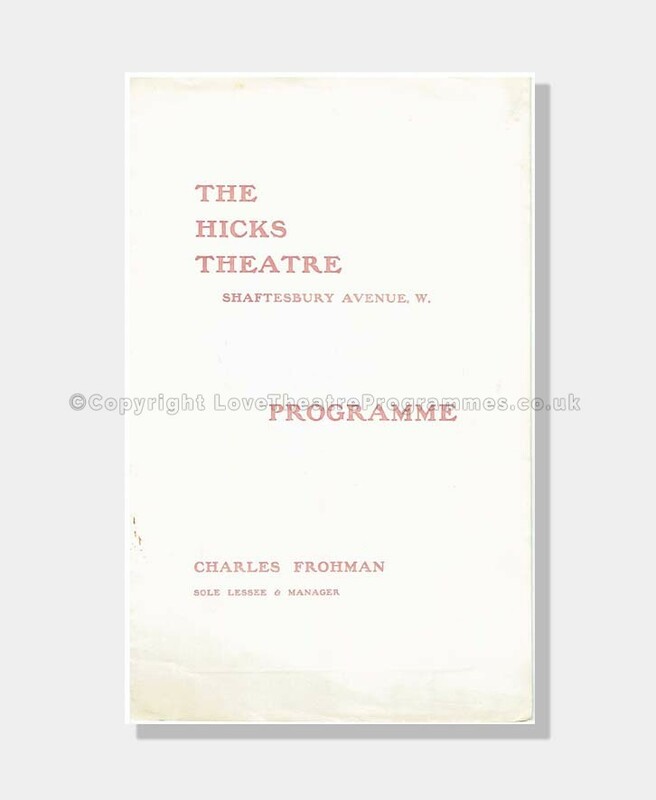 A particularly rare programme…..The Hicks Theatre was built for Seymour Hicks and opened on 27th December 1906 but when Charles Frohman became the manager in July 1909 he changed the name to the Globe Theatre. 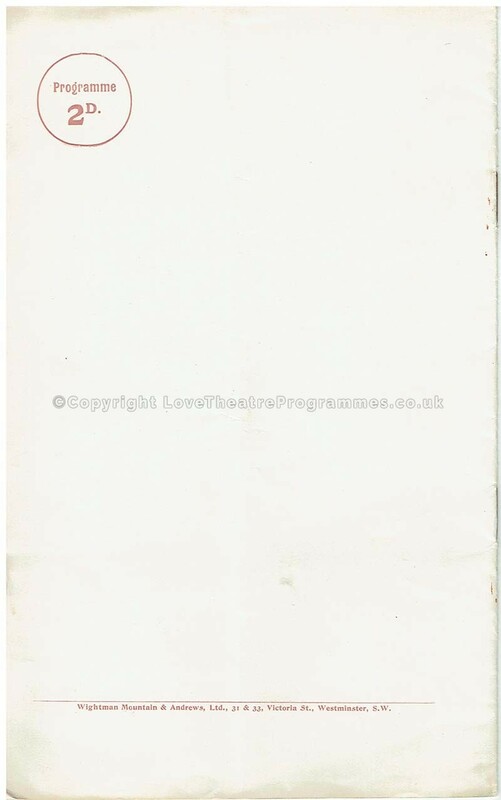 The programme consists of smooth off white paper, the covers are printed with a brown ink and the internal pages of the programme are printed in blue. The programme includes charming photos and detailed illustrations relevant to informative advertisements of the decade. Page 3 has an excellent detailed illustration of the Hicks Theatre and bustling avenue. The play is a comedy in four acts by Winchell Smith and Byron Ongley, and was dramatised from the story by George Barr McCutcheon. The cast list includes Gerald du Maurier, a successful Edwardian actor and father to famous author Daphne du Maurier who wrote popular novels, including the classic Rebecca. 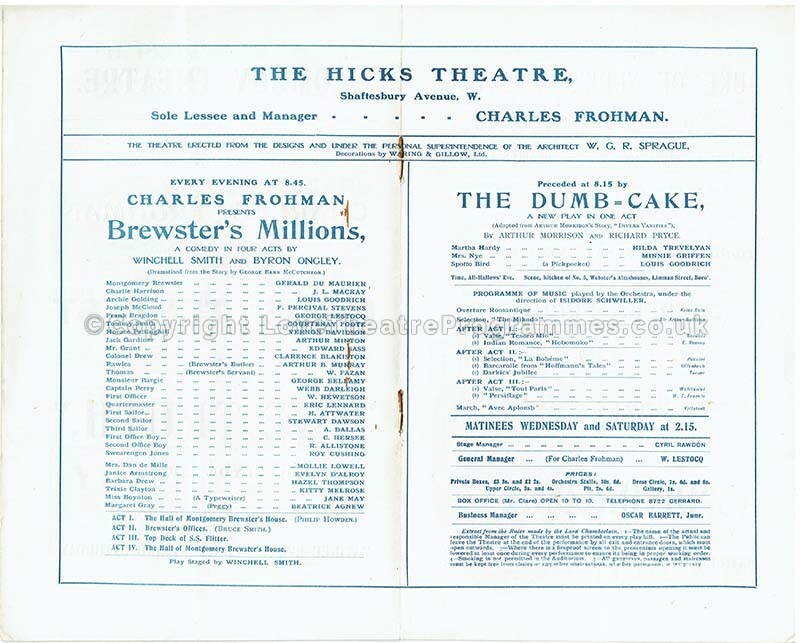 The cast list is displayed across the centre pages (pages 6 and 7). 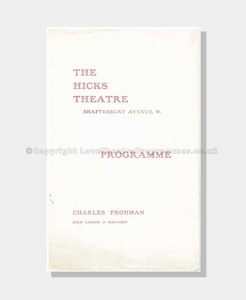 The programme also advertises up and coming plays at the Aldwych Theatre, Comedy Theatre and Duke of York’s Theatre. 12 pages including front and back covers. Approx. H 25cm x W 16cm. Condition Code: 4-5: Very good, clean condition as the stiff card cover has successfully protected the internal pages which are smooth and undamaged. The programme is held by two rusted staples but pages are firmly secure. 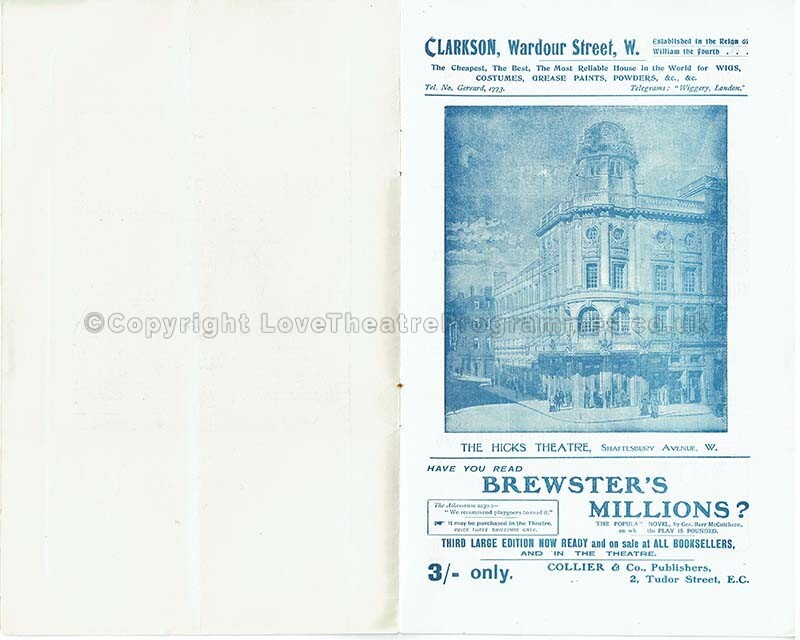 Performance: Brewster’s Millions plus The Agitator.